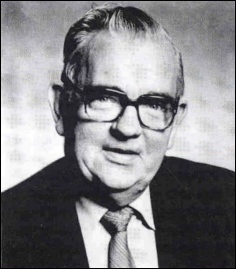 Thomas (Tom) Nolan (27 July 1921 – 17 August 1992) was an Irish Fianna Fáil politician. Cappawater was the birth place of one Thomas Nolan, born in July 1921, son of Matthew Nolan and Bridget Murphy to a farming family. He received his secondary education in the De La Salle College, Bagenalstown and he served in both the FCA and LDF during what in Ireland was known as the Emergency (World War 2). In 1941 he enlisted in the regular army and had acquired the rank of captain by 1942. By then he had gained a life long respect for the Irish Defense Forces with which his nephew Martin, Rosslea now serves. After his time in the army he had a career in business in Bagenalstown. His first foot on the political ladder came when in 1955 he was elected to Bagenalstown Town Commission and his public profile increased over the years contributing to him being elected to Carlow Co. Council in 1960. In 1961 the then Taoiseach Sean Lemass nominated him as a member of Seanad Éireann. In 1965 he became the first Carlow born Fianna Fáil deputy to sit in the Dáil. In 1980 Nolan was invited to become Minister of State at the Department of Health and Social Welfare, with special responsibility for children. This position lasted just eight months until following a minor reshuffle in December 1980 he was promoted to full Cabinet rank and became Minister for Labour. Days after receiving his seal of office the new Minister was competently replying to parliamentary questions in the Dáil where, commenting on his appointment, the leader of the Opposition described him as ‘a popular Member of this House and someone who all of us are glad to see being rewarded by promotion to the Cabinet’ – high praise indeed! The 1981 general election saw Fianna Fáil move to the opposition benches and in the general election of 1982 he lost out to Jim Gibbons. Tom Nolan was a significant political figure whose contribution to public life in Carlow was considerable. Respected, approachable and well-liked he established a rapport with his electorate that made him the dominant political personality in Carlow for almost two decades – a man Myshall Parish and Cappawater in particular can feel very proud of. His son, M. J. Nolan, is currently a Fianna Fáil TD.